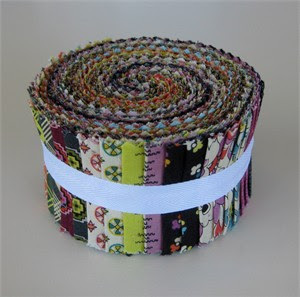 For the first time ever, Fabricworm has not only pre-cut fat quarter bundles, but jelly rolls and charm packs! 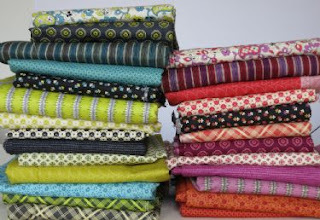 How could we possibly resist with the stash essential collection of fabrics from Denyse Schmidt? 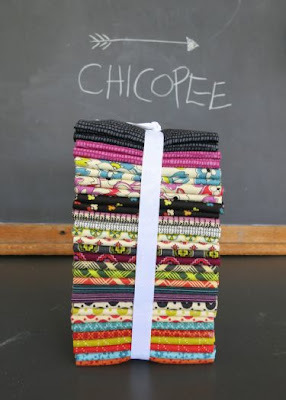 Chicopee brings us back to 1970's Americana in a vibrant way! The gal who The Wall Street Journal called "The Queen of the 'Neo-Hillbilly' Quilt" is back to share with us her school days growing up in Central Massachusetts. 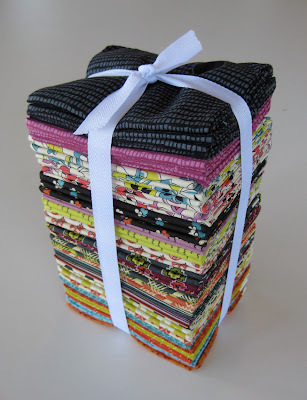 We are still awaiting our bolts of Chicopee, but here are some pre-cut bundles to snack on. Chicopee breaks down into two delicious color palettes, Relish and Push Pop. oh we'll be happy to honor your discount! What is your order number? The collections you've featured over the last week are so pretty and unique. Wish I had the budget to spend! 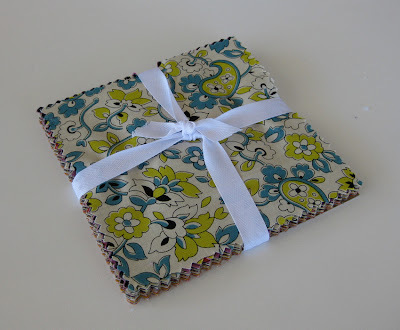 Hi Pink Stitches, I found your order # and emailed you. I just refunded your discount. Thanks! Now that is awesome customer service! Well done FabricWorm! Just a note, we always offer retroactive discounts within a day or two of purchase, so don't be shy, we are happy to honor, just takes an email so we know:) Cheers!